Russian novels of the 19th Century are known for their take-no-prisoners weight – you do not sign on lightly. A Hero of Our Time (1840) sits on the sidelines, easy to overlook beside the major works of Tolstoy and Dostoevsky. A slim novel of 150 pages, it is also Mikhail Lermontov’s (1814-1841) only work of prose fiction. Chiefly a poet influenced by the Romantic movement, he tragically followed in the footsteps of Pushkin and died in a duel at the age of 26, robbing Russia of its second major writer. Is is my sole function in life, I thought, to be the ruin of other people’s hopes? Through all my active life fate always seems to have brought me in for the dénouement of other people’s dramas. As if nobody could die or despair without my help. I’ve been the indispensable figure of the fifth act, thrust into the pitiful role of executioner or betrayer. What was fate’s purpose? The novel is divided into five fragments, giving essentially random slices of Pechorin’s life. The travel writer first hears of him through an old soldier, then observes him firsthand before acquiring his journals and “publishing” three extracts. As such, A Hero of Our Time best qualifies as a character portrait. However, it’s also an adventure novel, oddly enough. The segmented storyline and multiple narrators allow for greater tonal shifts than would otherwise be the case, so the ‘Bela’ story involves an abducted native girl, a daredevil brigand and horse theft while ‘Taman’ colourfully depicts smuggling, attempted murder, a creepy little kid and (of course) a stormy, fogbound coast. …I watched with bated breath as the frail little craft dived like a duck into the abyss, then, beating its oars like wings, rose up again in a shower of spray. Next I thought it was going to be dashed to pieces on the shore, but it deftly turned broadside and slipped unscathed into the tiny bay. Such set-pieces are richly melodramatic. Thus A Hero of Our Time sits at the crossroads – 18th Century Romanticism behind it while ahead lies the psychological and realist novel (and Oscar Wilde, whom Lermontov’s bored dandies predict). And it’s a novel like a nesting doll for there are more layers yet. Even as Lermontov robustly engages with all the trappings of an adventure-romance he’s also undermining them. The book’s title isn’t ironic simply because Pechorin is a sociopath – there have always been sociopathic heroes. Pechorin is not a reliable man of action. He can hunt wild boar but his true talent is manipulation – recklessness costs him more victories than it gains, sometimes to satiric degrees, as when he disgustedly realizes he’s been robbed by a blind boy and very nearly drowned by a girl of eighteen. Roughly half of the novel’s length is made up by ‘Princess Mary,’ a tale of love rivalry and deceit that places the surrounding vignettes in context and, ominously, ends with a duel (Lermontov had already been injured in a sword duel the year before his death, but didn’t learn his lesson). This lengthy plot provides the meat of Pechorin’s character – the depression you would pity him for and the predatory way he relieves himself of it through pointless, petty intrigue. His conversations with the worldly doctor Werner and other examples of “spa society” ring with the idle, malicious wit of the dandy. “Women only love men they don’t know.” His boredom drives him to scheme and seduce, his vanity drives him to win and he even welcomes making enemies. I’m delighted. I love enemies, though not in the Christian way. They amuse me, stir my blood. Being always on the alert, catching their every glance, the hidden meaning of every word, guessing their next step, confounding their plans, pretending to be taken in and then with one fell blow wrecking the whole elaborate fabric of their cunning schemes – that’s what I call living! It’s a truly brilliant portrait of a dangerous individual. I said that A Hero of Our Time was an ironic title but on another level it’s straight-faced – a condemnation of a society that admires Pechorins. Throughout the novel people are attracted to him – worse, people who knew him before and witnessed or experienced his callousness seek him out, make excuses, remain in love with him. Even Grushnitsky, a man who doesn’t like Pechorin, stays on familiar terms and shares confidences with him (disastrously, I might add). Only the unnamed travel writer can see that this man, though compelling, is better studied than approached. Some readers might like to know my own opinion of Pechorin’s character. My answer is given in the title of this book. ‘Malicious irony!’ they’ll retort. I don’t know. And here I come to my last point: everything is contradictory. The simplest explanation given is that Pechorin is a creation of his society, but he uses that theory as an excuse for his actions and as a gambit for sympathy. Thus it must be taken with a grain of salt. You can’t rely on anything with Pechorin. Does he have many feelings or none? Does he believe in predestination or not? Is he actually a tragic figure or purely contemptible? His character is fluid and changeable (though not “unreliable” as his journals show he’s always honest with himself). 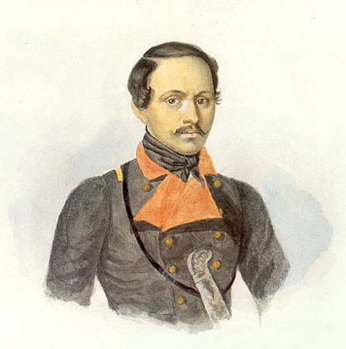 Lermontov created a fully three-dimensional character rather than merely “a portrait of the vices of our whole generation in their ultimate development,” which would have resulted in a flat and uninteresting villain. A Hero of Our Time is much more durable as a fine work of literature. Besides which, you get splendid plots, each one a gem of a set-piece. How many cerebral novels can you name that contain gamblers, brigands, smugglers, duels, eavesdropping, Russian Roulette and dramatic mountain scenery all at once? 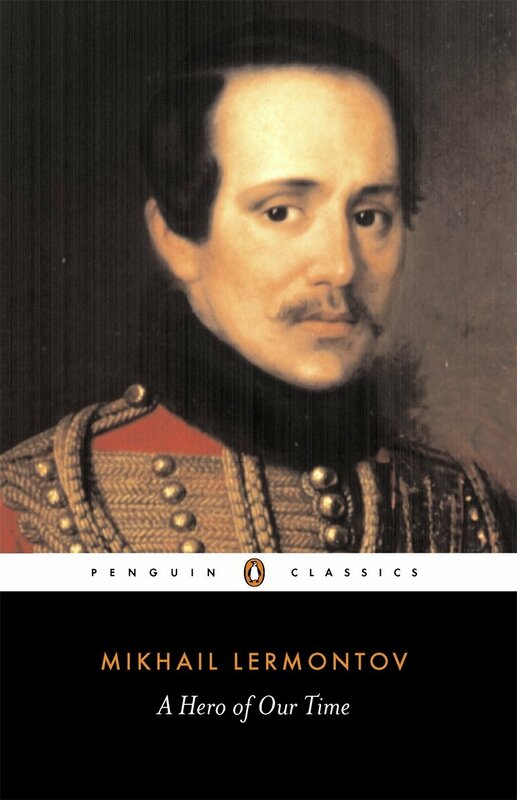 Footnote: If you read this in the Paul Foote Penguin Classics edition you can skip the introduction till last, but it is helpful to have some background on Lermontov’s life, so don’t skip the Chronology Foote so helpfully supplied. There are parallels between author and character.